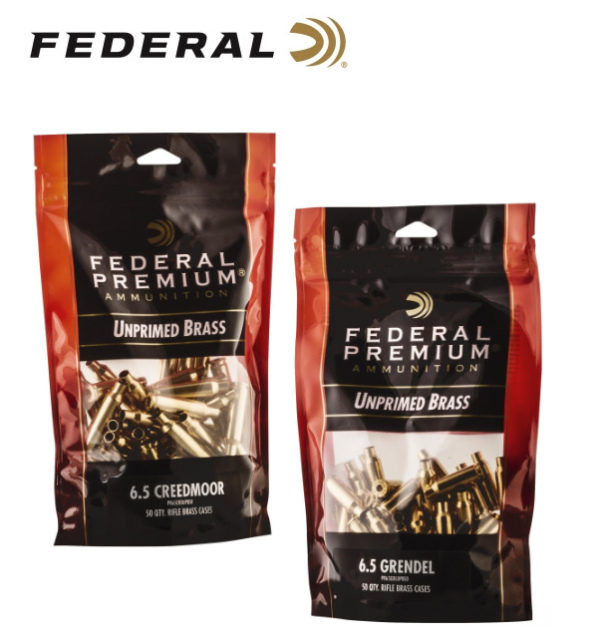 ANOKA, Minnesota – – Federal has expanded its line of Premium unprimed brass to include 6.5 Creedmoor and 6.5 Grendel cases. Shipments have been delivered to dealers. Federal been producing the industry’s finest brass since the early 1950s, when the first centerfire rounds rolled off its machines. The tradition continues today with the additional options for 6.5 Creedmoor and 6.5 Grendel, two of the hottest cartridges in shooting.